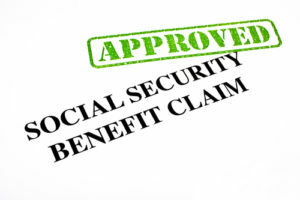 A close-up of an APPROVED Social Security Benefit Claim document. There are many things you can do to improve your chances of winning your Social Security Disability claim. Research shows that you will improve your chances of winning your claim if you have an experienced Advocate representing you in your case. The key is to have a representative such as one from Disability Specialist Center, LLC who is trained on the Social Security medical, vocational and legal issues in the Disability process. It is very important to seek medical treatment for your medical impairments. Your medical records are an important part of your Disability case. It will be helpful if you treat with Doctors that specialize in the medical conditions that render you disabled (i.e. Rheumatologist, Neurologist, Pain Management). If your case includes a mental impairment such as Depression or Anxiety, you should seek treatment with a mental health professional such as a Psychiatrist or Psychologist. You should let your Doctors know all of the symptoms that you experience. Also, keep a record of your medications and side effects. You will need to be honest with Social Security. In completing the forms, you need to focus on why you can’t work and include all of the symptoms that you suffer. You will also need to include your functional limitations. If your Disability application is denied, do not give up. You should appeal the denial decision within the timeframe given in your denial letter. Your Disability Advocate can appeal the decision for you. In Michigan, the next level of appeal is to Request a hearing with an Administrative Law Judge.